The Central Dunes is a region in Scorched Earth. 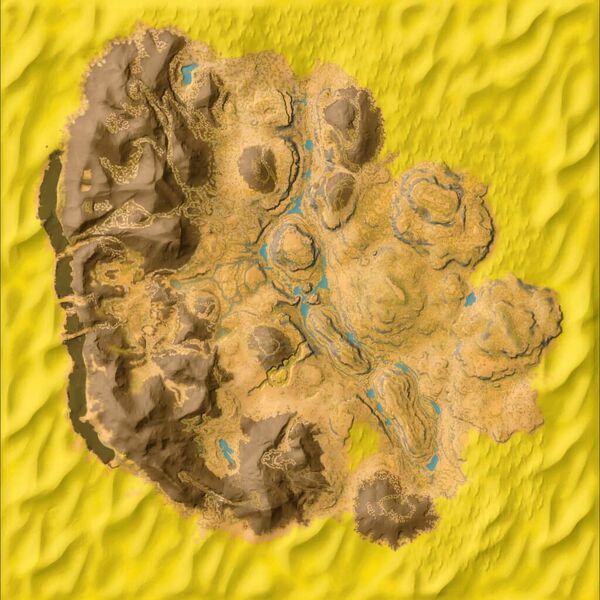 Much like the Dunes surrounding the map, the Central Dunes hosts a variety of predators, however due to being disconnected from the rest of the Dunes, it lacks some of the more dangerous creatures like the elusive Deathworm and the vicous Titanoboa. This doesn't mean there's nothing to worry about, as the occasional Vulture may still prove to be annoying. This location has 100% Wind Turbine efficiency. This page was last edited on 13 February 2019, at 16:51.